For 5 weeks Don and I have been renting a 2 bedroom, 2 bath villa in The Villages. Maybe some of you are wondering about a town named The Villages. It is located in north central Florida, about one hour north of Orlando and an hour and a half south of Gainesville, just off I-75, just north of the beginning of the Florida Turnpike. We first visited here as guests of Ray & Linda Cannarella, formerly of Indianapolis. We have done tandem tours in Italy with them, and they have been committee chairs for both MTR 2004 and 2010, as well as committee chairs for CIBA’s Hilly Hundred event. We have come back several times, always staying with Ray & Linda, who are permanent residents. But 5 weeks was way too long to be their guests – and we were pleased that family wanted to join us in the warmer climate. One advantage of The Villages for my training is the ability to cycle on nicely paved roads for over 25 miles, always staying within the property boundaries. 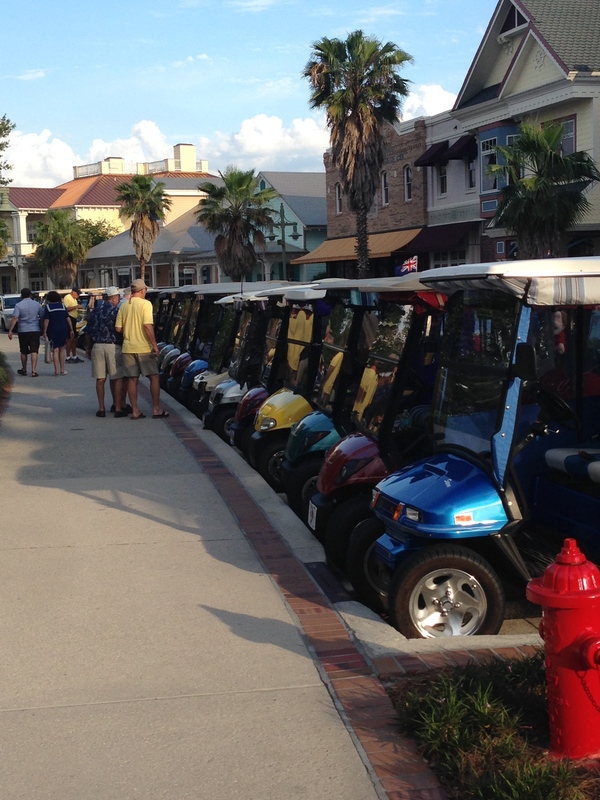 There are lots of traffic circles and thousands of golf cars – everything from Wal-Mart to the hospital to Bonefish Grill is accessible by golf car. Most of the time, we ride the roads, many 4 lanes, or on the golf car/bike lanes. The Villages has been described as Disney for Adults, due to the fictitious historical markers found around the three public squares (pretend Santa Fe, pretend Carolina colonial, and pretend Cowtown). Another article suggested it was like a cruise ship, offering numerous activities, but closing up at 9 pm. I can tell you that there is also a lot of activity early in the morning, taking into account the warm Florida summer temperatures. We have enjoyed our “vacation” here, now to head west, then south for more adventures. 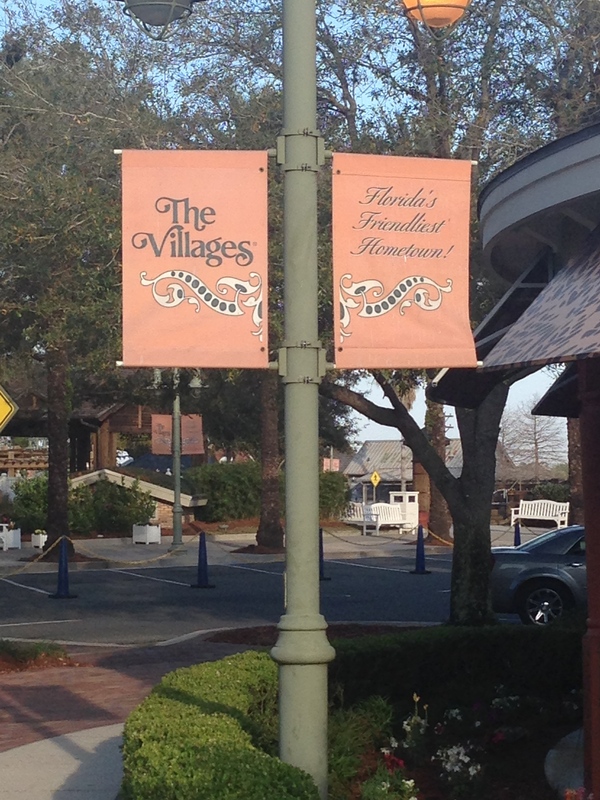 The Villages – Florida’s Friendliest hometown! We love visiting The Villages!! Great place to ride! Good luck on your next adventure….anxious to hear all about it!!! Don’t have to be retired. Many people buy for investment, rent until retirement. We don’t own, just rented for a month, with an extension, since it wasn’t rented in April.